This post is sponsored by Gallo Family Vineyards via the Sunday Supper Movement. With ghosts and goblins behind us, our attention is now turned to the season of giving and thanksgiving. The season of comfort and family and hope and love. 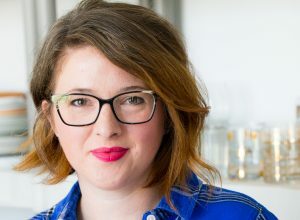 And while I try to keep that feeling of giving and thankfulness alive all year round, inevitably life gets in the way and before I know it, my feeling of good cheer has been chipped away and in it’s place is business and excuses for all of the important things that I am not making time to do. So now that November is here, I’m ready to try again. To reset my compass for what is truly important: giving comfort. That can mean an abundance of things. It’s giving a friend a quiet ear to to talk to, or a kind shoulder to cry on. It’s taking the time in the middle of errands and homework to give your kids an extra hug and tell them that they’re loved. It’s volunteering with you church to bring meals to the families in your community who are struggling and hungry. Every year, our church (among many other opportunities to give and help) holds a drive for socks to distribute at a local mission. It’s a seemingly small thing, socks, but to those who need something warm on their feet, it can make a world of difference. We go sock shopping and add our socks, of all different sizes, to the bins in the back of our church. I’m positive that there are similar drives and opportunities to share your time and generosity in your own communities. Gallo Family Vineyard is teaming up with Meals on Wheels to host wonderful campaign called Every Cork Counts. For every Gallo Family Vineyard cork that gets sent back to Gallo, they will donate $1 to Meals on Wheels, which helps fight hunger in Seniors. You can either mail your corks or submit a photo of your corks online. When I think of comforting my own family, I tend to go in the way of comfort food. For me that is fall flavors and colors. My husband’s very favorite Thanksgiving food is his mom’s amazing Sausage Filling and I have to say that I’ve become a bit of an expert on the stuff. 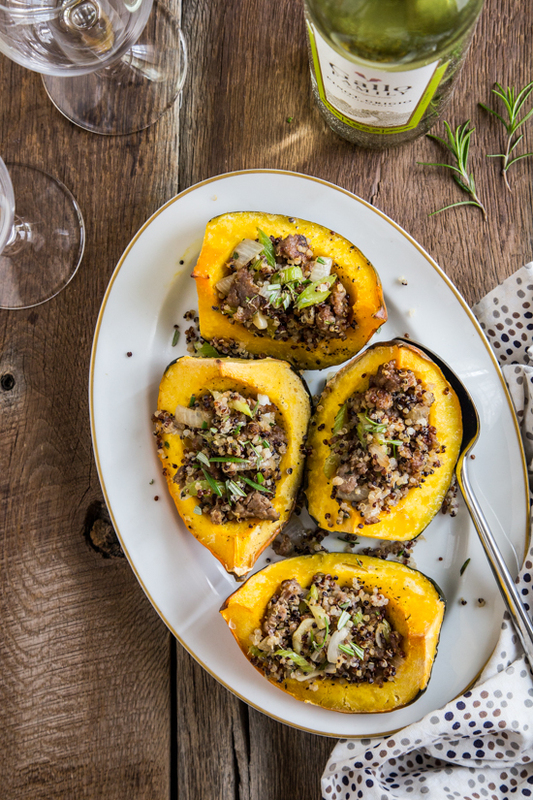 I thought it would be great to play with the flavors of this beloved sausage filling and create a lovely stuffed acorn squash recipe. This dish is full of Italian sausage, celery, onions and garlic. I swapped out the traditional bread cubes for my favorite rainbow quinoa and the results were fabulous. 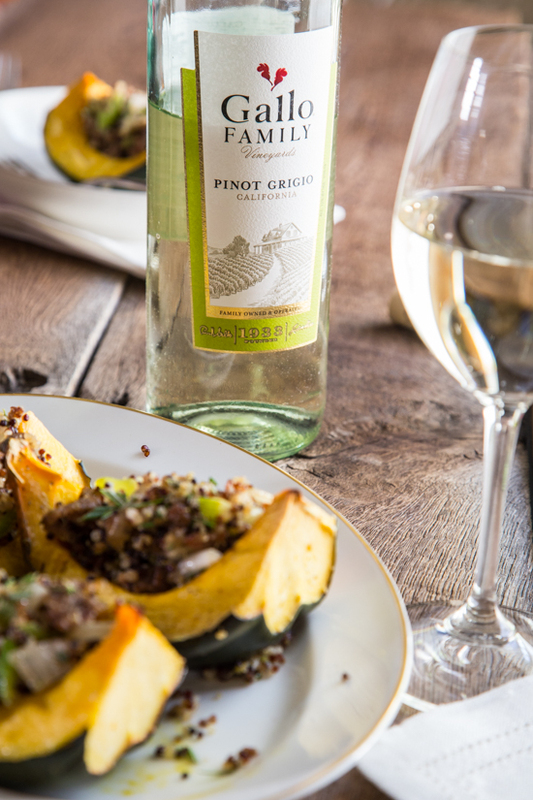 Pairing these stuffed acorn squash with Gallo Family’s Pinot Grigio was a wise, wise choice. Preheat oven to 350 degrees. Place squash quarters, skin side down, in 9x13 glass baking dish. Brush flesh with 1 tablespoon olive oil and sprinkle with salt and pepper. Roast for about 45-60 minutes or until flesh is tender and can be easily pierced with a fork. While the squash is roasting, make the filling. Heat remaining oil in a large skillet and brown sausage, breaking it up into small pieces with a wooden spoon while it cooks. Drain sausage on a paper towel and set aside. Add celery, onions, garlic and herbs to the skillet and cook until onions and celery are soft and herbs are fragrant. Add sausage back to the skillet along with the quinoa and chicken stock. Stir and allow to simmer for 3 minutes. Season with salt and pepper. 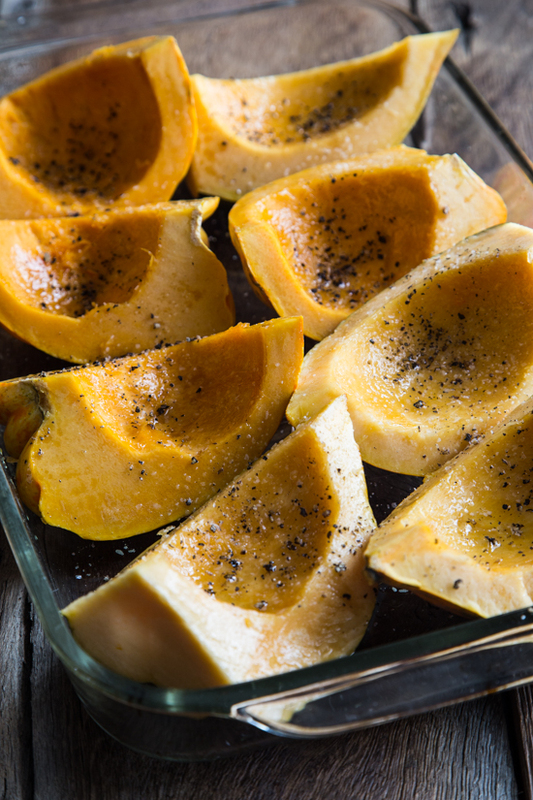 Divide filling among the squash quarters and bake an additional 10 minutes. Serve and enjoy! For more information on the Gallo Family of wines visit their website and store locator. There is even a $1 off digital coupon to use when stocking up for your own Thanksgiving dinner. Also be sure to follow Gallo on Facebook, Twitter, Instagram and YouTube for more comfort food inspiration. When planning your season of comfort food, be sure to check out Gallo Family Vineyard’s selection of wines, especially their lovely Pinot Grigio and their beautifully deep Cabernet Sauvignon. While you’re there browsing the wine, stop to learn more about their Every Cork Counts campaign to see how you can make a difference this holiday season. And be sure to check out the rest of these amazing comfort dishes from our Sunday Supper Table! What a wonderful savory stuffed acorn squash. For some reason I always think of sweet (baked with butter and brown sugar). I so need to try this. 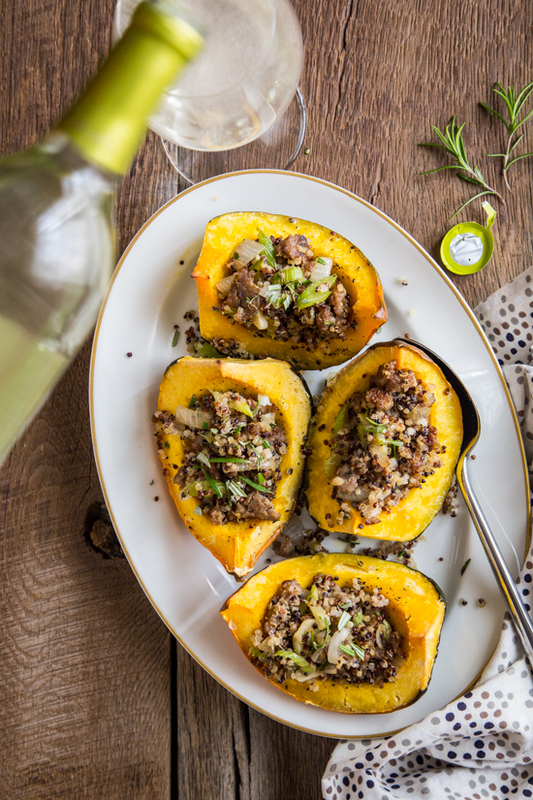 Squash stuffed with quinoa and sausage? Totally delish! It’s sad thinking about those who don’t have the funds to buy enough socks…thank goodness for churches like yours that care enough to help those in need. Love love love this dish – the colors are beautiful and the flavors…yum! You never think how small a gesture donating something like socks is, but if you don’t have them, it would be a huge deal to have a drive for this. I love the idea! In other news, I need to make this recipe, stat! Yummy! I love acorn squash and your stiffing looks amazing! I would just love a bite or two or three…. Such a fantastic idea and I love your gorgeous pictures. Totally drool worthy! This is the perfect dish to share with someone you care for. Love the stuffing. 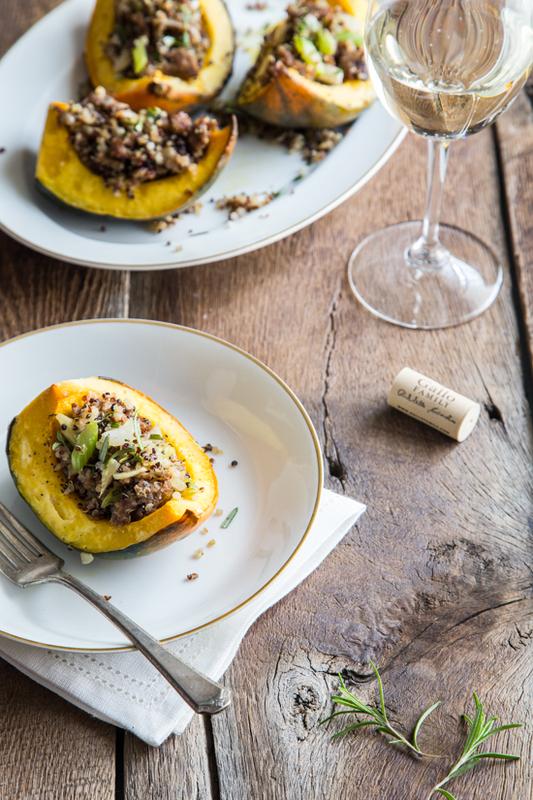 What a delicious recipe for acorn squash and double yum to the quinoa! I’m always up for stuffed squash! What a clever way of incorporating a beloved family recipe with a post about giving comfort. I, also, love that your entire family is able to participate in the sock donation. Such a warm and kind thing to do. What a creative way to repurpose your beloved sausage stuffing! I love what you’ve done here. I love the sock drive. It’s something so easy for kids to comprehend and participate in, and you are right, it is huge to someone who is in need. I love this recipe, too. So perfect for this time of year! These look wonderful Emily! I’m going to have to add this to our weeknight menu. 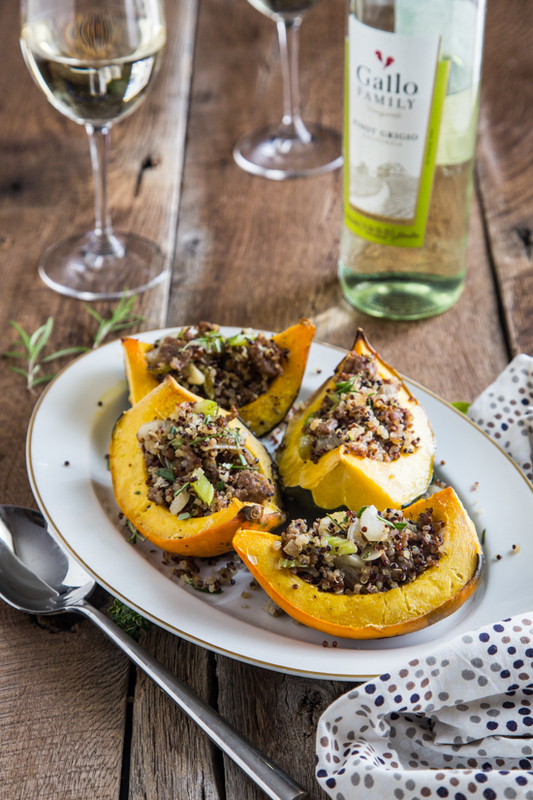 Love stuffing acorn squash – need to follow your delicious recipe next time I crave some!